Geneva is an enigmatic, slightly schizophrenic city. Despite its image as a dour citadel of Calvinist rectitude, a serious place for serious people, for much of the early 20th century the city had a much racier and more sinister reputation. During the World Wars, Geneva was home to an army of spies, criminals and dodgy bankers attracted by the city’s political neutrality and the opportunity to profiteer. Some of this motley crew stayed on through the 1920s and 1930s to rub shoulders in the city’s bars and restaurants with high-minded internationalists recruited by the League of Nations and other international agencies whose headquarters were located in Geneva after World War One. Aspects of this duality, satirised on the eve of World War Two by George Bernard Shaw in a sadly forgotten play Geneva (1938), have featured in my research in recent years. A couple of years ago, I investigated the unusual career of Sándor Radó, a Comintern agent from Budapest who spent the late 1930s and most of World War Two masquerading as a cartographic publisher and journalist in Geneva while secretly passing military intelligence gathered from anti-Nazi officers in the German Abwehr to his handlers in the Soviet Union. 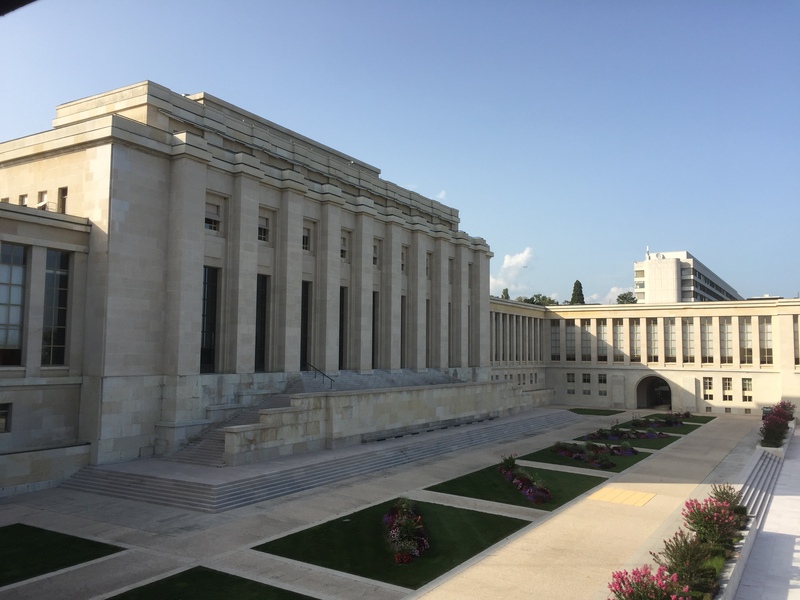 More recently, I’ve been considering the social and professional networks of Geneva’s interwar internationalists for this AHRC project on ‘Conferencing the International’, focusing specifically on the League of Nations International Committee on Intellectual Cooperation (ICIC), one of the main targets of Shaw’s biting wit. 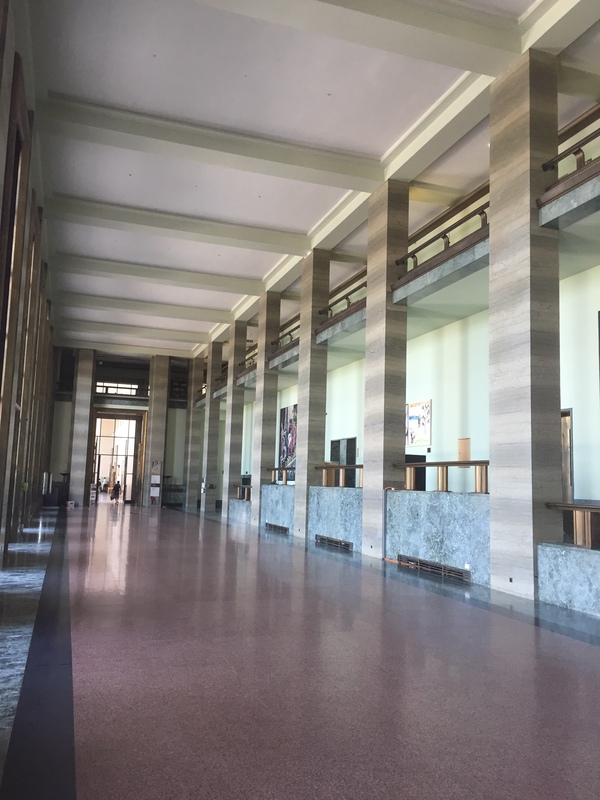 In August 2017, I spent two rainy weeks in Geneva working on ICIC documents in the League’s archives in the Palais des Nations, the sprawling building in Ariana Park designed in the late 1920s, when optimism about the League was probably at its peak, and finally completed a decade later, by which time the League was in terminal decline. 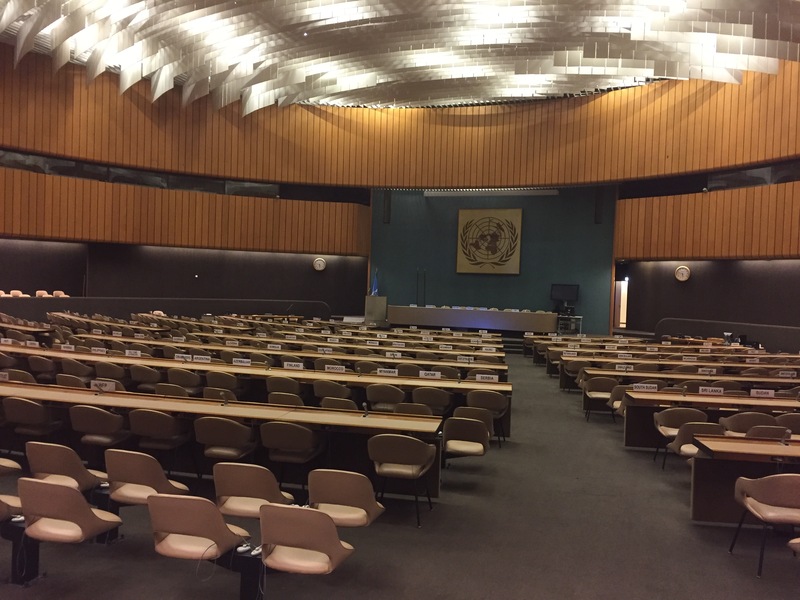 The Palais is an astonishing building, especially in August when the otherwise hectic schedule of UN and NGO meetings (c. 10,000 per year) all but ceases. 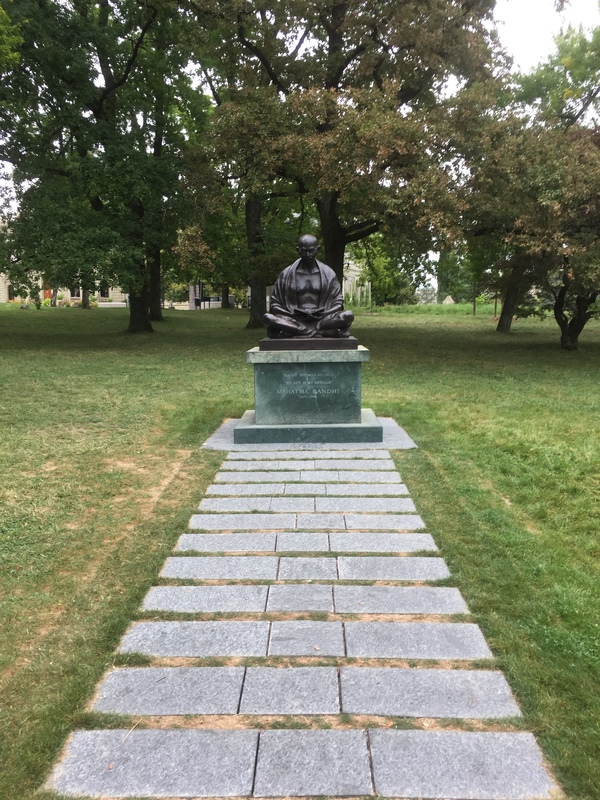 Wandering along the echoing corridors, through the empty assembly halls, and around the statues in the neglected gardens is sombre experience. The shattered dreams of those who designed this building as a beacon of peace and harmony weigh heavily. The focus of my archival investigations were the ICIC files relating to the twelve International Studies Conferences (ISCs) organised as the Palais was under construction by the International Institute of Intellectual Cooperation (IIIC). The IIIC was established in Paris in 1925, with generous support from the French Ministry of Foreign Affairs, as a more or less overt attempt to take control of the perilously under-resourced ICIC. The ISCs were semi-public conferences involving a roll-call of leading internationalists from the worlds of politics, diplomacy, academia and business. The first conference took place in Berlin two years after Germany was admitted to the League in 1926 when enthusiasm for internationalism was running at an all-time high. The last conference, in Bergen in 1939, ended with the tragic news that German and Soviet tanks were sweeping across Poland. The intervening ISCs took place in Paris and London (which hosted three conferences each), Copenhagen, Milan, Madrid, and Prague. Initially intended to debate how to establish a new interdisciplinary project of International Studies in universities around the world, the ISCs soon evolved into grand debating forums to consider ambitious questions such as ‘the state and economic life’, ‘collective security’, ‘peaceful change’ and ‘economic policies in relation to world peace’. The files on the ISCs in Geneva are less extensive than I had anticipated, something of a relief given the volume of material in the IIIC’s main archive in Paris. 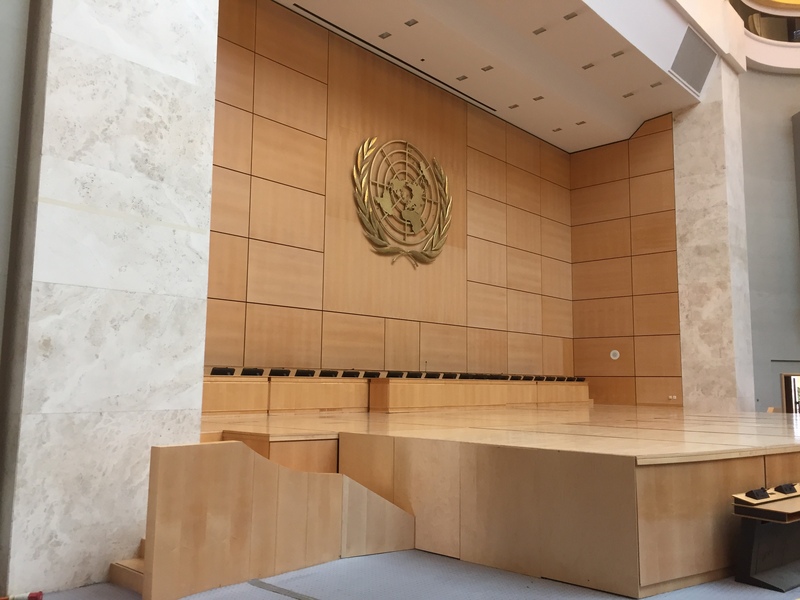 A number of significant documents came to light in Geneva, however, especially on the two conferences devoted to ‘peaceful change’. These took place in Madrid in 1936, weeks before the outbreak of the Spanish Civil War, and in Paris the following summer, during the excitement generated by the 1937 Exposition internationale. The ‘peaceful change’ ISCs addressed had three themes: population and migration; raw materials and global trade; and colonies and colonial governance. Between the two conferences, dozens of reports were prepared on these topics by national ISC delegations, most of which were never published. As some of these reports were prepared by prominent geographers, including Isaiah Bowman from the United States, Albert Demangeon from France, Pál Teleki from Hungary, and Axel Sømme from Norway, these files have significance for historians of geography as well as historians of internationalism. I discovered, for example, that The Limits of Land Settlement: A Report on Present-Day Possibilities, a collection of essays edited by Bowman and later published by the American Geographical Society, was commissioned for the 1937 ISC in Paris. Intended to update Bowman’s earlier project on ‘pioneer settlement’, which had ground to halt, the report included chapters on the potential for demographic colonisation in different parts of the world by Carl Sauer (who was broadly dismissive of the whole idea), Griffith Taylor, Bruce Hopper, Owen Lattimore and the extraordinary Chen Han-Seng, a US- and German-educated Chinese sociologist whose Landlord and Peasant in China (published in New York the previous year) would later exert a powerful influence on Mao Zedong. To Bowman’s embarrassment, Chen was later identified as a Chinese agent in Richard Sorge’s Soviet-backed communist spy ring in Tokyo. He had already fled to Moscow by the time Bowman submitted his chapter to the ISC committee in Paris. These discoveries, facilitated by the courteous assistance of Jacques Oberson and his colleagues in the League’s archives and library, made the visit a worthwhile experience, though not without its quotidian challenges. Given the eye-watering costs of Geneva’s hotels, I selected a cheap and perfectly functional alternative in Ferney-Voltaire, a suburb on the French side of the border where the philosopher after whom the town is named lived in exile and where I was once briefly employed as a histoire-géographie examiner at the lycée international. My 15-minute commute by bus therefore involved a daily crossing of an international and EU border. As Brexiteers occasionally remind us, this is a more or less frictionless border, criss-crossed by thousands of French and Swiss commuters every day. To begin with, my bus journeys seemed to confirm these comforting claims. Each morning, I bought a return ticket from one of the on-board machines, the only option as drivers are unable to sell tickets and there are no machines at the bus stops. Early in week two, my ticket was ‘controlled’ by what can only be described as a ‘Swiss guard’, albeit one dressed more soberly than his compatriots in the Vatican. To my embarrassment, and the guard’s amusement, I had apparently been travelling each day with an under-16s return ticket, saving me the princely sum of one euro in each direction. After I indignantly pointed out that the relevant information was printed on the ticket machine in absurdly small font, indecipherable even with my reading glasses, the guard reluctantly allowed me to purchase a full-fare return ticket under his supervision. To my secret delight, the machine stubbornly refused to issue us with a new ticket, despite repeated attempts to insert euros, Swiss francs and, just as an experiment, both an old and a new UK pound coin. We eventually gave up as the bus came to halt outside the Palais des Nations. Subsequent attempts to purchase bus tickets appropriate for a man of my age proved equally unsuccessful so for the remainder of the visit I travelled back and forth across an EU border illegally, as the oldest teenager in the city. This was an oddly exhilarating experience though a less than glowing recommendation for the much-vaunted ‘smart’ European borders.